Physical Activity is the promotion and engagement of exercise and movement in addition to the 60 minute per week timetabled curriculum subject of Physical Education. 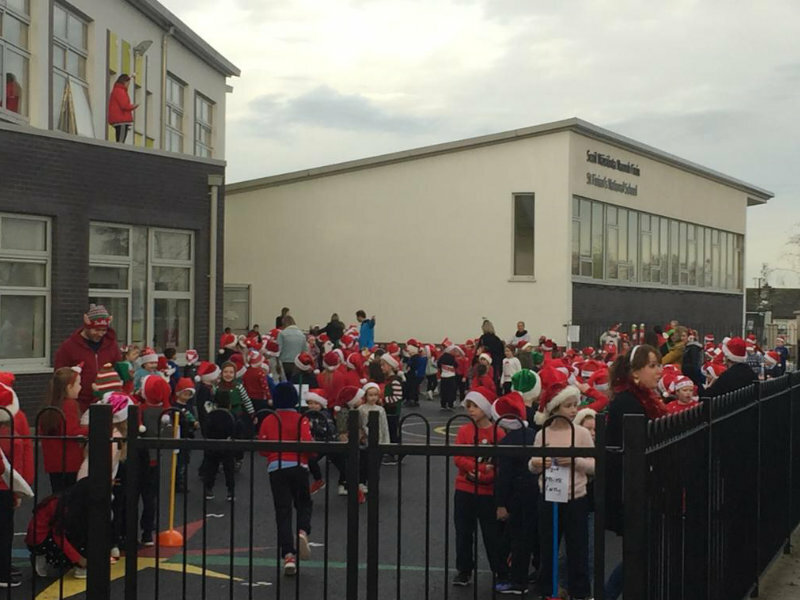 St.Finian’s actively promotes the message that children require 60 minutes of moderate to vigorous physical activity every day. 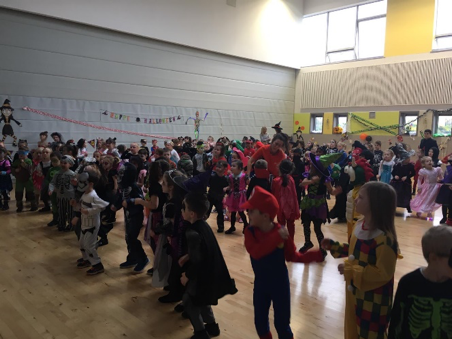 In St. Finian’s we have been very busy since September engaging in a wide variety of different programmes, ideas and initiatives which have inspired the children (and staff) to become more active. 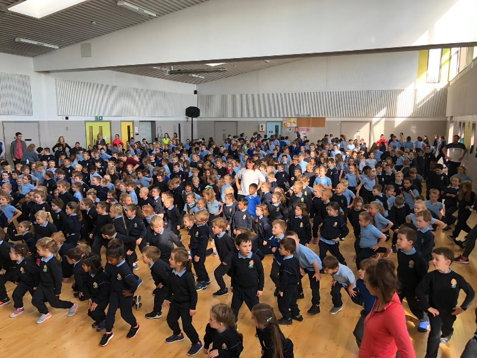 St. Finian’s promotes the full range of fundamental movement skills during break times and pupils are encouraged to run, play and to “Do your talking while you’re walking”. We have two daily playground breaks and our school yard is zoned and marked to allow children to engage in a variety of different activities. Our ASF committee members are our playground leaders who stand at the front of the line and lead some physical activity exercises before all the students walk back indoors. Our school incorporates physical activity into school calendar events as we hold different seasonal activities and events which can be viewed in detail below. Throughout January and February we are undertaking the “Tour of Europe Challenge” as part of efforts to increase physical activity in St.Finians. All classes have selected a place on the map to visit and are aiming to arrive at this destination by running laps of the yard. Every 1 lap of the yard = 1km on the map.We have been very busy running laps and trying to visit as many place in Europe as we can! Check out the map to see all the place we are visiting! 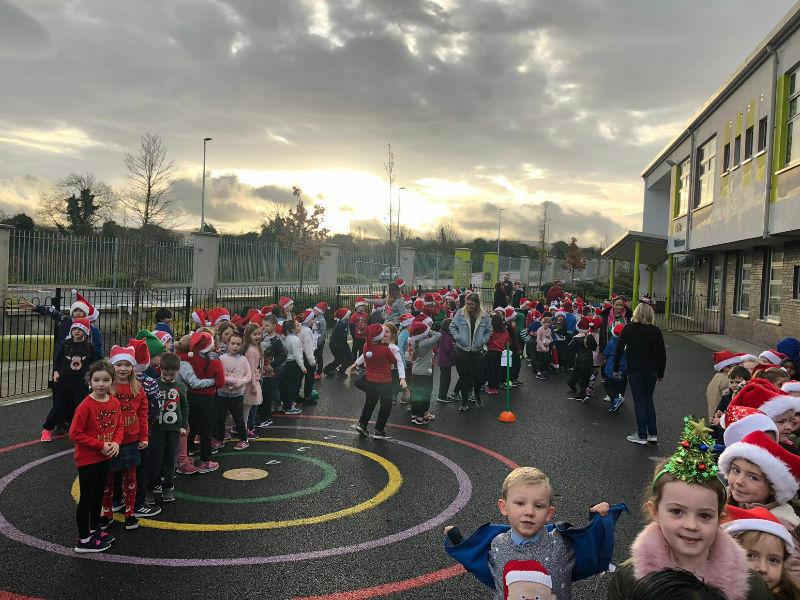 On Tuesday the 11th of December the whole school participated in a ” Santa Dash” as part of our physical activity efforts for the Active School Flag and as a fundraiser for the school. 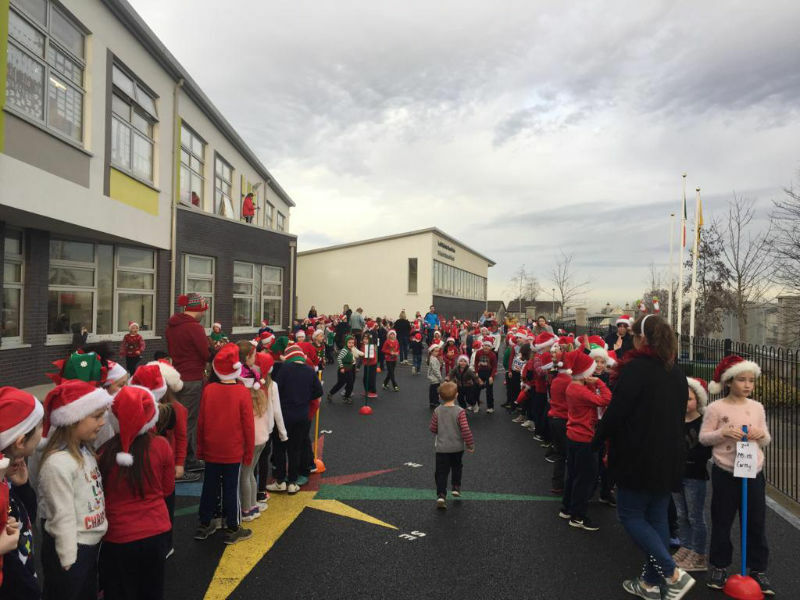 6th class led the senior students out of the staff car park gate for 3 laps of the road outside the school. 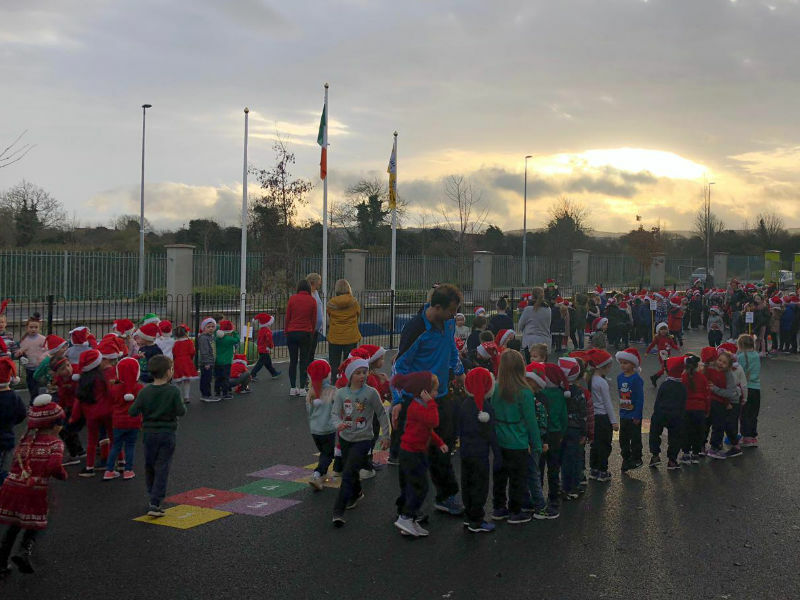 The Juniors cheered on the older students from their yard while listening to Christmas music.It was then the Seniors turn to cheer on the Juniors, who were led around their loop by 6th class students.It was an amazing morning full of energy and enthusiasm and the children looked fantastic in their Santa hats and Christmas attire. We believe that this is the start of an annual activity in St, Finians at Christmas time, next year we will invite parents along! This month St. Finian’s is making a commitment to do the “Active Break Everyday Challenge” commencing on the 19thNovember.Our goal is to energise the school day for the wholeschool community – so staff will join in too! This is a great way to generate whole school engagement with the Active School Flag process. It also means that children will gain more active minutes every day, in particular as the weather becomes colder and wetter, sometimes preventing them from playing outdoors. Every class has a challenge chart that is displayed outside of the classroom door which the ASF committee member will tick upon completion every day. 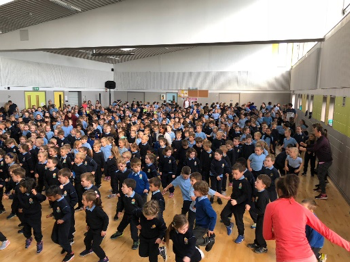 All classes are participating in the #BeActive ‘Climb the Heights’ skipping challenge which gives children targets to work towards as well as promoting cross–curricular learning. Children will also participate in physical activity dance breaks through the Go Noodle website. The physical activity dance and skipping breaks coincide with our PE strand Dance and FMS focus Skipping for this month. On the 27th of September the whole school participated in National Fitness Day. All classes met in the halla for 11@11 (11 exercises at 11am) followed by a student versus teacher squat challenge. Back in the classroom teachers discussed ‘Healthy Lifestyles’ with their students supported by a Healthy Lifestyles PowerPoint to prompt discussion. Children drew pictures and wrote about their understanding of fitness. 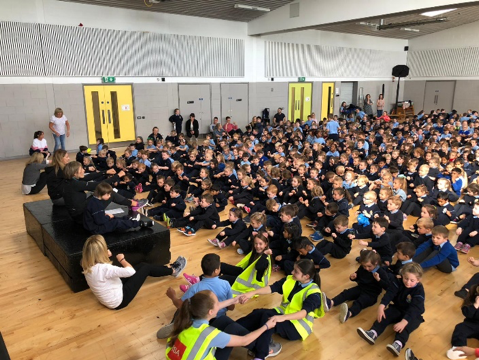 Fitness diaries were distributed around the school for children to monitor and record their physical activity over the course of the week and the school entered a competition with Active Ireland to be in with a chance to win sport related prizes. 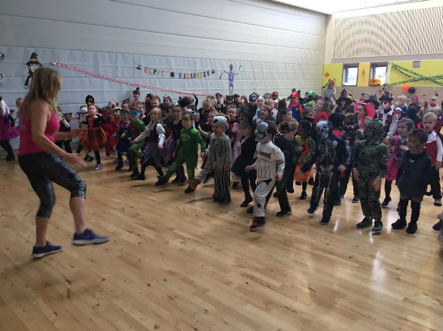 On the 25th October all students participated in a “Zumba Halloween Disco” in the Halla. 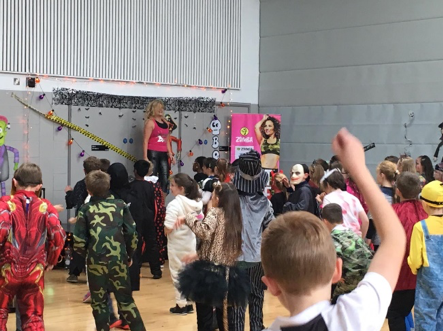 Local Zumba Instructor Dee kindly gave her up her morning to come into the school and lead the students through a variety of Zumba movements and music, finishing up of course with a routine to “Ghostbusters”. The morning was full or energy and enthusiasm and the students thoroughly enjoyed themselves.